Sony has just announced that Beyond: Two Souls will hit PS4 as a digital title next week on November 24th. The PS4 digital version of Heavy Rain will be out on March 1st. 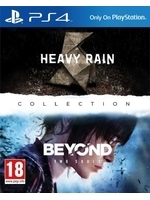 Both titles are remastered at 1080p/60fps and will be bundled for retail (in Europe at least) as The Heavy Rain and Beyond: Two Souls Collection, due out in March. Trailer and screens inside. Finally we have the release date, I'm so excited about how gorgeous Beyond: Two Souls could be on PS4. Great. More remasters. Just what current gen needs. pass on beyond. i'll happily buy heavy rain again though, make some different choices. Funny thing those remasters, on PC all your games get remastered if you get a new gpu or monitor :) And you don't have to buy those games again. I don't think 60fps is confirmed though is it? That's what Sony PR said in the email we were sent. It´s great for people, who didn´t have a chance to play it on PS3. I can't tell if Heavy Rain looks any better than it already did. Madison shower scenes in 1080p...is gonna be downright glorious! Yeah, I wouldn't be counting on that. I read they decided to censor those scenes on PS4. I wish Sony put as much effort into new IP's as remasters. Yay, now everyone can enjoy the terrible garbage that are David Cage's cinematic masterpieces. They should just remake Fahrenheit instead, that's by far his most entertaining game. They outsource their remasters. So they don't put much effort into their remasters at all really. Lol. can i watch these on any blu-ray player? A friend of mine has a love for Cage's work, i'm sure he's got this in the bag for his PS4. While Cage's work isn't too bad with his story telling, grabbing inspiration from books and movies. I would agree though he should move to appreciate the purpose of a controller more often, and not just tell a story. If you watch the end of the Kara trailer she even says at the end "My name is Kara and this is my story" and then the trailer ends with - "this is for the players"........ok, that is simply his audience, "the players" and yet he released a 4 minute trailer about a story! David cage and Sam Lake are like two sides of the same coin, when pooling their inspiration from sources into games. The only difference between the two is how they use the controller to tell the story. If Cage could do more homework on blending the two together he wouldn't be facing mixed opinions on his work. I would really love to see both David cage and Sam Lake make a game together, but seeing how their differences are Cage would probably take the controller and throw it away. ---> my sense of humor. Really liked heavy rain when it first came out...went back to it last year before i got shot of the ps3...controls are rubbish, and the acting's pretty terrible...but, I did get a new ending, and got to see more of a characters story from having them survive this time round. 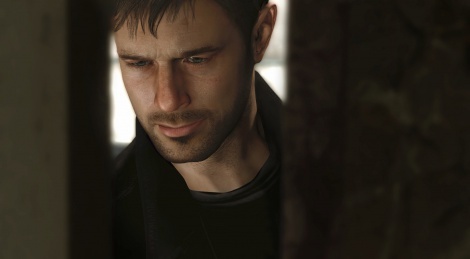 Beyond two souls I never tried beyond the demo. Seemed confused in what it was trying to be. For games of this type I'd recommend Until dawn...which is a lot more polished controls, looks so much better than either of these two, and it a lot more branching with it's story, as well as far better acted.